"Abortion? What part of Thou Shalt Not Kill don’t you understand?" 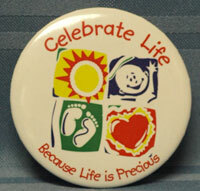 This bumper sticker allows you to proclaim the pro-life message everywhere you go! PRO-LIFE BUMPER STICKER Pray To End Abortion. PRO-LIFE BUMPER STICKER Ronald Reagan Quote.